I picked up a 64gb Nano usb for the pi this week. I used Amazon but, in the rather bizarre way I have of buying, I also use a service called purse.io for a lot of my Amazon purchases. It actually allows you to use digital Bitcoins via Amazon wishlists to make purchases. The mechanics of it are a bit dull but you usually get a discount via purse of 5% upwards. So I shave a few pence off each purchase. However after the device arrived my troubles began. It basically wasn't recognised. There is a reason for this and it goes back about 30 years. USB drives were designed as floppy disk replacements originally. Big floppy disks but definitely removeable. For this reason they use a variation of the FAT filesystem. FAT is 'File Allocation Table'. The original 8 bit FAT format was designed for floppy disks with a capacity of 180kb (single sided). The original floppy was 8 inches, which then became 5.25 and then became 3.5 inch. It was always 'floppy' but the external cases got harder to make them more resilient. Early data destruction stories include the secretaries that stapled the floppy to the printed hard copy to keep it "safe". Other stories are of disks folded to put into envelopes and so on. Data recovery of the floppy disk was big business at one point. Back to my issue. As capacity of hard disks rose the FAT file system had to grow. It had to have more space and be able to store the tables of where the files were located. Simply put the numbers kept growing and in the 1980s the maths stopped FAT using disks over over 32mb. FAT12 limited the size to 32MB for a logical sector size of 512 bytes. Hard disks were then often partitioned and weird extenders were used such as disk compression. Help was at hand. A usable FAT16 came in 1987 with Compaq's DOS 3.31 and the world breathed a sigh of relief. Unfortunately disks started growing again. Extended attributes to files came with IBM OS/2 operating system. On the Microsoft side of the fence Windows 3.x arrived and FAT was straining with friendly file names because FAT supported just 8 characters, a full stop and a 3 character file extension. So with Windows 95 so called 'long file names' were supported but everything stayed compatible with the older systems. In the 1990s it looked like FAT was now too old because NTFS was the new fully permissioned Microsoft file system for big drives. FAT was being relegated quickly to consumer PCs and old floppy disks. It was dead. That was until the arrival of USB. Everything still understood FAT so USB memory sticks came with FAT drives. Then the same problem happened. 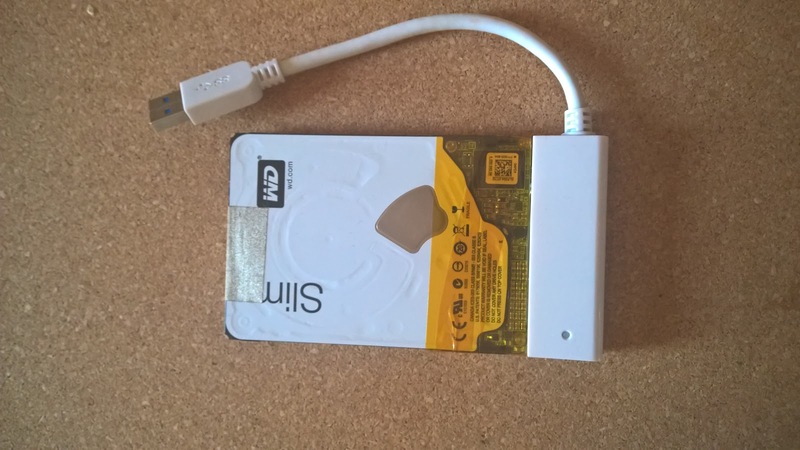 Capacity rose dramatically and the USB drive stopped looking like a big floppy disk. To cope with every expanding USB drives Exfat turned up to be backwards compatible but able to address huge disks of up hundreds of gigs on USB and memory cards for cameras. 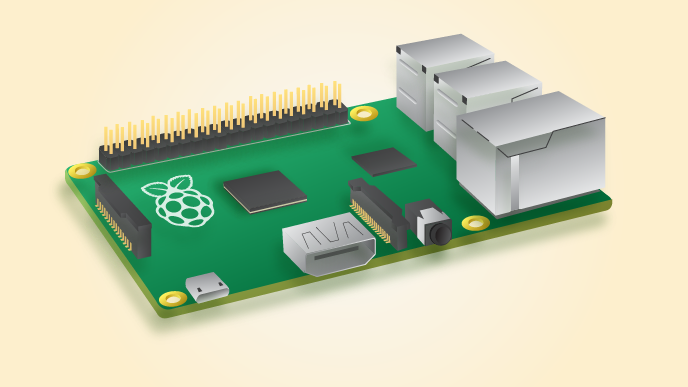 Back to my raspberry pi. Simply put beyond 32gb it didn't recognise the USB disk. Immediately the 32 number stuck in my head. It turns out it can't boot from exfat beyond 32gb but does support FAT 32. Rather than spend too much time with this I used 'fdisk /dev/sda1' to view the partitions on the storage. I deleted all the FAT stuff and created a Linux partition. A format with 'ext2' completed the transformation. 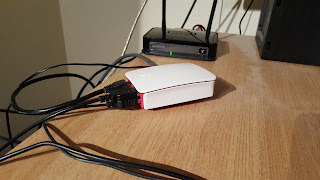 Editing fstab allowed me to mount the USB as a native Linux disk and I changed the permissions to let everyone read/write. Since I am the only user it's not really a problem. A while a go I bought the book Digital Gold by Nathaniel Popper. It turned out to be a pretty good read overall. This is not a technology book in the sense of explaining Bitcoin or cryptography. Instead it is driven by the 'story' of Bitcoin. My interest is primarily in the technology but I also understand that to varying degrees people are also interested in the economics and politics of it. The book reads a lot like the history of the Internet or the development of the Linux OS. By that I mean it starts off with some 'out of the box' thinking and gradually gathers interest to the point at which it draws in a wide range of characters. So if you go back to 1995 you will find a number of people telling you why the Internet would fail. I mention this because reading the book was a bit like reading about email in the 1980s, the Internet before web pages existed, Linux in the early 1990s. So as well as being told the Internet would not catch on, no-one would ever want to shop online and no-one would need email because the fax machine worked just fine I have had it with predicting the doom of different technology people now regard as mainstream. In fact Bitcoin has already been declared dead - several times. You can read them all at the Bitcoin obituary website. So the book kicks off with the late Hal Finney. He was a respected programmer in the cryptography area. He starts communicating with Satoshi Nakamoto, the author of the initial paper on Bitcoin. Over 400+ pages a range of characters 'discover' Bitcoin and begin to like the idea. Some people are attracted by the lack of government control. Some like the idea of the economic change. Some just want to make money. There are criminals, hackers, drug selling and venture capitalists. The story is global. You quickly realise it's random, there is no plan but there is a community of global proportions. No one should 'invest' in Bitcoin. In 5 years it could be worth $1 million per coin or nothing. It really is that risky. The book is very readable and if you want to know more about what it's all about and where it comes from with just the possibility you might quite like some of the characters it is worth a read. The interesting aspect for me is the idea that it seems to be more than coincidence that Bitcoin arrived off the back of the 2008 financial crisis. It solved some really big longstanding cryptography problems just at the moment. Suddenly IT geeks were trying to find a way for technology to solve the problem of a world deep in debt, bankrupt zombie banks and ordinary people being made financially powerless by the billionaire class. Turning money both digital and personal is, in the Internet age, something people can understand. Being able to send money with the ease of sending email is an idea that should be attractive to a generation who carries their data with them daily on a mobile device. The book doesn't set out to make the case for digital decentralised money on a global scale but as you read it seems rather obvious. If you want to know more about Bitcoin please visit Bitcoin.com. I went to see the Steve Jobs movie yesterday. It's based on the Walter Isaacson biography, which I read last year, and the screenplay was by Aaron Sorkin. Sorkin is most associated with The West Wing and the movie Social Network. The book was a traditional biography. Jobs co-operated and did interviews for the book expecting publication after his death. The movie departs from the book in format. The main parts are 3 distinctive product launches in which Jobs is forced to face his responsibilities as a father, an innovator and how to deal with multiple personal and business relationships. The movie is thick on fast paced dialogue as you expect from Sorkin's writing. If you know the technology and the Apple story it helps but the movie is focussed on character. There are obvious points where things are explained by using a character in the room to represent the audience. Suffice to say you don't need IT knowledge to follow the movie. The 2013 movie called Jobs starring Ashton Kutchner was more conventional but both suffered from not having a dramatic element that draws in the audience, The main focus is always on the complexity of Jobs himself. Far from being a genius you learn that he had single minded visions and binary view of the world. People were in or out. The film makes it pretty clear that the Apple world is one of a messianic leader in which a technology company moves from having commercial products to being a religion in which Jobs was content in being the focus. Having read the book and watched both movies I certainly don't like Steve Jobs. His company was 90 days away from bankruptcy when he came back and, in part, it survived due to $150 million investment from Microsoft. Like the surfer he was able to catch the next technological waves with the iMac, iPod and iPhone better than anyone else. His Mac, back in 1984, was a little ahead of his time. A worthwhile movie to understand Steve Jobs and Apple a little better. The promise of OneDrive (formally Skydrive) was the cloud service for all your devices and all your stuff. With each iteration of the service, both paid plans and free plans, got bigger and better. Free users that were first got 25gb of free storage. Later on this was reduced to 15gb at entry but it was still a good deal. Hook up a Onedrive app on Windowsphone, Android or IOS and setup photo uploading and you got 15gb more. If you were a loyal user of Bing or other MS services you might even get bonus storage. It was not uncommon for Microsoft's most loyal users of different services to build up 50gb of free storage. If you had an Office 365 subscription plan at £79.00 a year then as well as 5 licenses for Office you got a mammoth 1tb of cloud storage. Microsoft's consumer vision of being the centre of consumers' digital lives, storing their important stuff and connecting devices was, in part, the story of OneDrive. A series of Lumia Windowsphones and low capacity tablets was released with hardly any onboard storage. This was only really credible by saying that people's stuff would be put in the cloud by default. Office 2013 and 2016 stored your stuff to OneDrive by default too. In 2014 Microsoft announced that Office 365 subscribers could have unlimited storage. This meant that £79.00 per year bought you as much space as you can use and 5 Office licenses. Forget Office this was a great cloud deal. Yesterday (2nd Nov 2015) this all ended with a OneDrive blog post. Microsoft said that people were 'abusing' the the unlimited plan by storing too much. Up to 75tb in some cases. There is the obvious point that if something is unlimited you can't abuse it by storing too much. Most Internet providers and mobile operators have "acceptable use" clauses in agreements defining what they regard as abusing 'unlimited' plans. Microsoft could have quite easily announced a variation of their user agreements to put an "acceptable use" clause in so as to curtail the almost industrial use of OneDrive. They didn't do that. What Microsoft actually did was change the whole structure of their offer from top to bottom. Some plans disappeared and doubled the cost of the storage. The free tier would be reduced to 5gb next year. So this removed all the bonuses of loyal Microsoft supporters in one hit. Users of low cost Lumia devices will find their photos won't backup to the cloud because it will be full. Users of other devices will have their cloud storage reduced too. In effect the Microsoft cloud just shrank by around 75% for normal users and 90% for many of Microsoft's loyal crowd. The first effect of this is to make the 'cloud first, mobile first' strategy of CEO Satya Nadella look a bit weak and probably undermines it. This also kills trust in Microsoft's cloud strategy for consumers and is a big boost for other players. The reason why its a boost is technical. The OneDrive sync was terrible. It was slow and sometimes literally took hours to catch up. You could overlook this in a free tier but not when you are paying. The best general storage deal for consumers now is Kim Dotcom and Mega. Accused by the US motion picture industry of being home to pirates his site offers 50gb of free storage. The added advantage is all the storage is encrypted so he is portrayed as an Internet freedom advocate. The storage is located in New Zealand for those concerned about privacy and spooks monitoring data. Android phone users get unlimited photo storage from Google if you put their photo app on you phone. Google also provides 15gb of free drive storage. Now a better choice than OneDrive's free tier. Amazon are also in there. Prime membership also gives you unlimited photo storage and for £6.00 a year there is 20gb of storage on the Amazon drive. Not free but a better deal than Microsoft are offering. If you need to move your cloud then consider Mover. A free service for home users to move their data between providers. OneDrive is about to get smaller and less useful in the free tier. Microsoft seem to have created a self-inflicted publicity nightmare with the Twitter tag #onedrivegate by hitting their most loyal users After years of trying to shake off a reputation as corporate monopolist and having a self-declared aim of wanting people to 'love Windows' this announcement surely sets them back years. Last week hackers broke into Internet and communications provider TalkTalk. This was bad for TalkTalk but also bad for banking. One of the problems of ecommerce is that we are using a credit card system that is now 50+ years old. When it started almost no-one had a card, everything was on paper receipts and you had to present a card and have signature that looked a bit like the one on the card. Not today. Card not present fraud is big. Chip and pin has helped but the card industry is mostly electronic. The costs of transactions to the issuers have plummeted but the costs to retail and customers have mushroomed. Good business for the financial sector. In fact not just everything to make a payment but also everything someone needs to make a payment on your account. Whoever you buy anything with, no matter how casual or "one off" the payment, they have your details. If anyone, hacker, call centre worker or whoever can access your records they can make payments on your card. Hence the millions spent each year by business to secure the data, pay compensation and generally keep the bad guys away. This is hugely expensive security. That's it. The payment is sent to their public address generated once only to make the payment. I push the payment to them so they don't need my payment details. They issue a receipt. Whether or not you think Bitcoin is a banking revolution, will change the world or will make banke redundant is not relevant. This process of payment means my financial information is secure by default because I don't need to provide them. As it happens the merchant doesn't pay credit card fees either and it's just like using cash. The key issue here is that if a merchant doesn't have your bank details they are secure. So obvious it is crazy. This could reduce fraud, save millions and make ecommerce much more secure for customers. If Amazon ever went for Bitcoin then consumers would immediately understand the benefits but most journalists like a good click bait story of fraud involving Bitcoin despite the fact that billions are stolen from credit cards every year. I will continue to use Bitcoin for my DVD purchases if only to provide greater security to me on one retailers site. I wish others would go more secure and accept Bitcoin. Is that Ipad Pro for work or play? So Apple announced the all new iPad Pro. With optional keyboard and 'pencil' you can have a system that looks like a laptop. In order to convince people you can do real work on an iPad Pro, and not just watch movies or play music, they recruited Microsoft to demonstrate iPad Pro running Microsoft Office. However what it really looked like was a Microsoft Surface Pro 3. The interesting thing here is that when Steve Jobs first introduced the iPhone he comprehensively dismissed the 'stylus' or any kind of pointing device in favour of the finger. He also comprehensively made Apple a product of the premium consumer. A product bought as much for fashion than as technology. So why would Apple want to park the iPad onto Microsoft's home ground of productivity and usefulness as a PC? One answer - sales. Ipad sales have been in decline. Once people buy an iPad they tend not to go on a binge of annual upgrades. Apple is now into the guerilla tactics of taking the iPad into the office and into the enterprise. If they are successful then Microsoft wants to sell it's services and software so it needs to join the party. The interesting thing is that Apple have produced something like a Microsoft Surface Pro 3. A tablet that can be a laptop, Yet the Apple watchers are content to cheer in wave the 'innovation' of a product that is really someone else's idea. The tech press are loath to point this out because of Apple's reputation for closing the door on press contacts to any critical journalism. I have a Lenovo Y50 laptop. It is towards the top of the laptop range. I needed it because it had a hi-res Nvidia graphics card for games and a generous 16gb memory and a i7 processor. To be fair it was probably what an average Apple MacBook would cost. What I didn't expect was probably the slowest SATA hard drive in the world - or at least that's the way it felt. One of the problems of a power PC or power laptop is that when you have one slow component you really notice the bottleneck in the chain. Booting the machine or just loading a program seemed to slow everything down. The 1tb drive was a 'hybrid' with an 8gb cache but you would hardly know with the pedestrian speed of the rest of the drive. I just couldn't take it anymore and I bought a Crucial 500gb SSD. For most people a 1tb drive is hardly needed anymore because cloud storage allows you to keep your 'stuff' somewhere else. Mostly this is on OneDrive for me but I also have a DropBox and Google Drive account too. In short it didn't bother me too much the SSD was going to be smaller. The main problem was going to be partition complexity. As well as the Windows OS partition there was the reserved system partition with the UEFI BIOS and the Windows 8.1 Lenovo restore partition plus a Lenovo drivers partition. The last of these contained some of the Lenovo crapware. To make it easy I bought the Crucial kit with the really important software to make an image of the drive and resize the partitions on the 500gb drive. As a sidenote I should say I have done many of these upgrades over the years and mostly used the free partitioning software but this time I actually paid for the kit to make it easy. The kit from Crucial consisted of mounting brackets for desktop PCs, screws, a USB transfer cable and the all important software - Acronis 2014 HD. This became a big problem. Installation was an issue because my hi res screen resulted in microscopic unreadable fonts. The software couldn't scale menus correctly. It did then install and it asked for a reboot. What it was supposed to do at this point was reboot into a mode where it had full control of the drive and could copy all the partitions and re-assemble them on the new drive. What it actually did is reboot, produce a microscopic error message in the top left corner of my screen, and then an error about the UEFI bios and the disk being unbootable. You could run a Windows 10 recovery but it couldn't find any partitions. The command line could see the data but nothing else. After a bit of command line investigation it turned out that Acronis had replaced the UEFI Bios files with it's own, presumably for this special boot to do the copying, but this had completely failed. So the PC was now a bit unusable. I could have dug further, used diskpart to figure out UEFI re-partitioning, but I figured that the data was still on the old drive so I swapped it out for the new SSD. This was pretty easy. 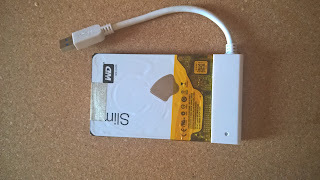 However the SSD was now in the PC with no operating system at all. Now was a moment to go clean. Get a clean PC. The problem with all PCs you buy is crapware. Manufacturers like Lenovo seem to think you want your disk filled with utilities, anti-virus trial versions, updaters and much, much more. They even install their own malware. One of the new trends in the world of IT Professionals is to create clean PCs without the crapware. Microsoft will even sell you a clean PC - it's called a signature PC. However there are many articles explaining how to create a clean PC and for Windows 10 you can download the media creation tool from Microsoft. With Windows 10 it is now even easier than before. If you have activated Windows 10 it records the activation for your PC hardware configuration so when you re-install from scratch you can pretty much forget having to type in those long license numbers. Just skip that step, log in with your Microsoft account, and it activates. In my case all the drivers were recognised and in about 90 minutes I got a clean PC. With Onedrive and the cloud my data just synced back - it took a while but it got there. So Acronis turned out to be almost completely useless but the cable was useful and the problems accelerated my move to a clean PC. Last Christmas I changed from a Lumia 1020 to arguably the most talked about phone of 2015 - the OnePlus One. I liked the Windowsphone OS but my bank, local taxi company, and many other people had not made mobile apps for Windowsphone. So I went Android. This month, after the the delivery of Windows 10 for the PC, I wanted to see what had changed with my OS of choice. You can join the Windows Insider programme for phones/mobile and download what is known as a 'rom' in the Android world. The good thing about Android is it's app support. Lots of them. To be fair to Microsoft all the major apps are in it's ecosystem - Facebook, Twitter et al. Where it falls down is in the area of 'second tier' apps. Your bank, local transit, local taxi companies, stores, etc. The reason is partly because Android is on 75% of smartphones out there but partly because Microsoft have messed with their developer community in recent years. I really want to go back to Windowsphone (or Windows 10 Mobile as it will be). Microsoft are bringing in universal apps across platforms to make the ecosystem more attractive, Cortana the digital assistant will be cross platform and the latests SDKs will allow an easy port of Android apps to Windows 10 Mobile. So it may happen. My Lumia is now running a beta pre-release OS. A bit dangerous as a daily device but I will see how it turns out in the next few weeks heading to the October 2015 full release. Today when you browse the pages of an online PC retailer for a new laptop it's pretty much a given that you get a free copy of Windows and it runs all the software you would expect. Unless you are one of the two percent of geeks that goes and installs Linux or a brand concious Apple buyer (five percent) you PC is compatible with a huge library of software that works 'out of the box'. This wasn't always so. Back in 1981 when the IBM PC was launched every PC ran a different operating system and software releases had to be customised to work with everyone. The IBM PC, because it was made by IBM, became the business users choice and they locked up the market. However in rushing to make the PC they used off the shelf hardware that could easily be built by other people. So the issue became whether anyone could take advantage of the sudden market created for common software. In Texas a group of former TI (Texas Instruments) engineers felt that they could build a new class of PC - the portable. However they realised that they had to make it 100% IBM compatible and it had to run all IBM software without them ending up in court for copyright infringement. What they came up with was the Compaq portable. Yes it looked like someone's old suitcase but back in 1982 the only viable portable was something like the Osborne I that could not run any IBM software. Compaq took the decision to manufacture in the USA and not the far east. To rely on innovation and quality to sell a deliberately expensive product. The Compaq Portable was also a proof concept PC that pushed other manufacturers towards the IBM compatible world that was the mainstay of technology for 25 years. The PC compatible market made computing affordable for 100s of millions of people and businesses throughout the planet. In a world where we are conditioned to think that Google and Apple created innovation you need to be prompted to remember that the devices a billion people use everyday were actually part of an innovation at Compaq in 1982. This year my holiday took me to San Francisco. 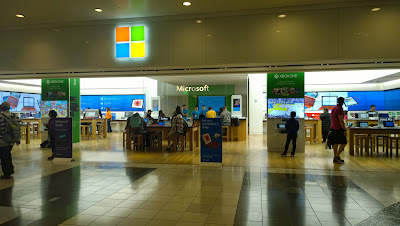 Unfortunately I could not quite abandon my tendency to 'go geek' and I decided to visit a Microsoft Store in the Westfield Centre which is in Market Street. In one sense the store is pretty much a reasonable 'copy' of the Apple retail experience. Open plan, benches, designed to let customers linger and touch working systems and plenty of demos for the kids and the curious. My original intention was just to look. However they had a HP Stream 7 Windows tablet for sale at $88 including taxes. A Windows tablet is normally pretty useless. Too small to run Windows desktop and too few apps in touch screen mode. This one was running the rather unusual Windows 8.1 with Bing OS. Windows 8.1 with Bing is pretty much the same as any other Windows 8.1 but the manufacturer, in this case HP, must set Bing as the default search engine to pay $0 for the software licence. As a customer you can change search to Yahoo, Google or whatever but it must be sold default as Bing. I bought one. In the USA you get the tablet, one year of Office 365 personal and $25.00 of Microsoft credit to buy music or movies. You also get 1TB of cloud storage on Onedrive. Included is 60 minutes of Skype international calling credit each month too. This makes buying the tablet the cheapest way of getting 1TB of cloud storage for a year. I am not sure if I need a 1TB of cloud storage but the price seemed bonkers, Worst case I could use the tablet as an ereader. What makes it even more strange is that Windows 8.1 runs pretty well on the 1GB of memory, you can plug in up to 128GB of micro sd storage, two cameras and a reasonable screen. The best bit is that Microsoft Retail Stores in the USA sell 'signature' PCs. This is a PC without crapware that clogs up and slows down Windows. So it actually is delivered how Microsoft intend Windows to look without all the rubbish manufacturers install. So I seem to have grabbed a bargain! Could Apple be creating something uncool? Back in 1861 ships in the Firth of Forth needed the sound of a gun to tell the time. Today, largely as a tourist attraction, you can set your watch by the one o'clock gun. Then there was John Harrison, who created the clock that allowed the calculation of time on ships to great accuracy. This led to the correct calculation of longitude and, by extension, the ability of British ships to trade worldwide and create an empire. Harrison's invention was the GPS of the 18th century. By any standards it was a cool piece of engineering magic. The telling of time accurately was for centuries illusive and worthy of the greatest engineering minds. By the 20th century the watch became the latest level of this technology. Owning a watch was a status symbol, a fashion item and, for many, an item given to you as a mark of move into adult life. Expensive watches were bought and engraved for a lifetime's use. In the 1970s Sir Clive Sinclair was not known as a gadget man for his home computer revolution but for the first digital watches. However at a certain point in the 1980s people stopped wearing watches. By the late 20th century time was everywhere. Knowing the time was not something that required special equipment or some premium priced personal gadget. Suddenly the time was accurate on every railway clock, in offices, on the radio, on TV and on computer screens. These days time is just one of the many functions of the mobile phone that almost every adult carries. Time, alarms, diary are all there all the time. Many people don't wear a watch at all and, if you are under 25, then wearing a watch is 'uncool'. This provokes the question of why Apple, a company perceived to be at the centre of cool, is creating a watch. I actually think the answer is simpler than anyone thinks. The Tim Cook presentation gave it away. he said ever since he was a kid he wanted a watch that would replace his phone. The Apple watch is basically the creation of men of a certain age who wanted to create as a product what science fiction dreamed of when they were kids. The Apple watch will sell in millions because it is made by Apple. However it will always be uncool because it was made for the people who run Apple rather than for Apple's natural consumers.